Open letters to any aspiring independent creatives. After exposing my great plans for taking over the world by becoming a writing machine, life did what it does best, and TOTALLY THREW OFF MY GROOVE! I went from 2 or 3 weeks of a good writing rhythm where I wrote 5 or 6 song drafts. Then I, arrogantly shared my success story only to turn around and have a week like this one. Where I write hardly anything. Schedule changes are killers! And you know what else is a killer? Not getting enough sleep because you want to stay up and watch one more episode of Kora! Don’t do that. I’m a full time musician so the schedule changes really shouldn’t phase me at this point… sadly, they do. If my schedule gets thrown off, I feel helpless to write a single thing worth hearing. Mostly because my brain is so focused on what’s going to happen next. The beauty of sticking to a writing schedule is you don’t need to think about what’s going to happen next. The latter excuse is just foolishness. What I have learned though, is that when these things happen, I’m tempted to guilt trip myself into a routine again. Don’t do this either. Self-deprecation is NEVER productive. If anything it only hinders my writing further. When you have a week like this, give yourself some grace, go to bed on time and get back up tomorrow and start over. 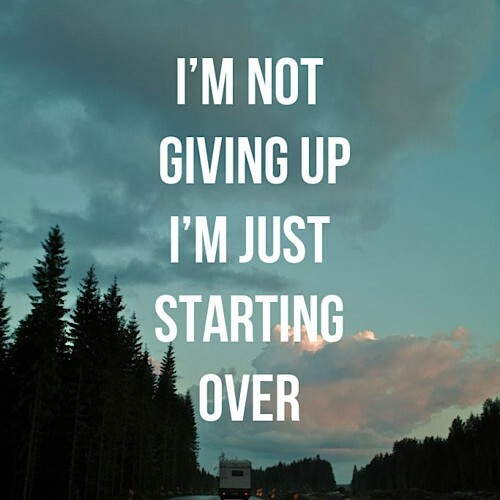 It’s always okay to start over. Previous Article Improve your writing by writing bad songs!